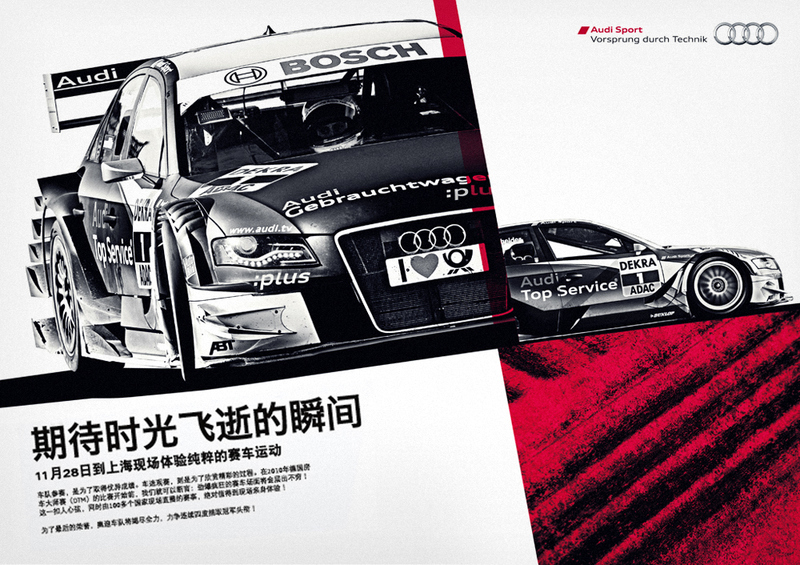 International campaign platform for Audi Motorsport. 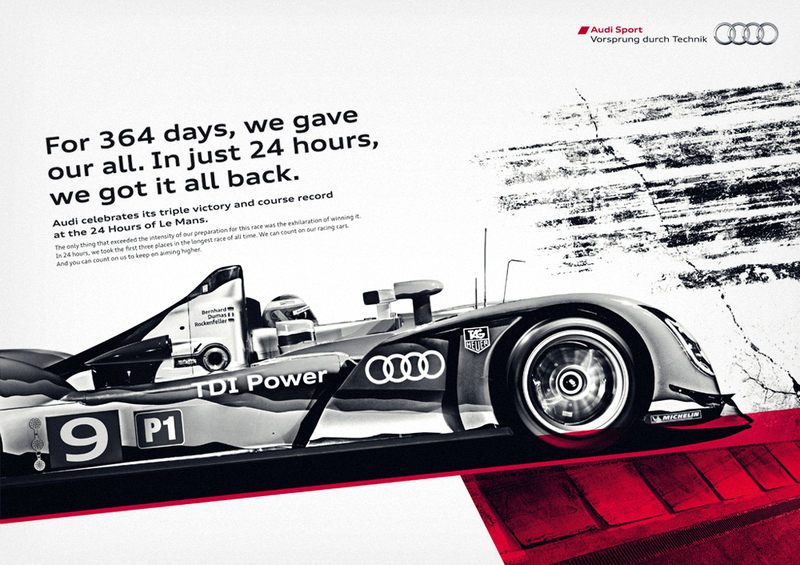 To create a unique visual platform for the Audi Motorsports campaign we took inspiration from skid marks on race tracks. 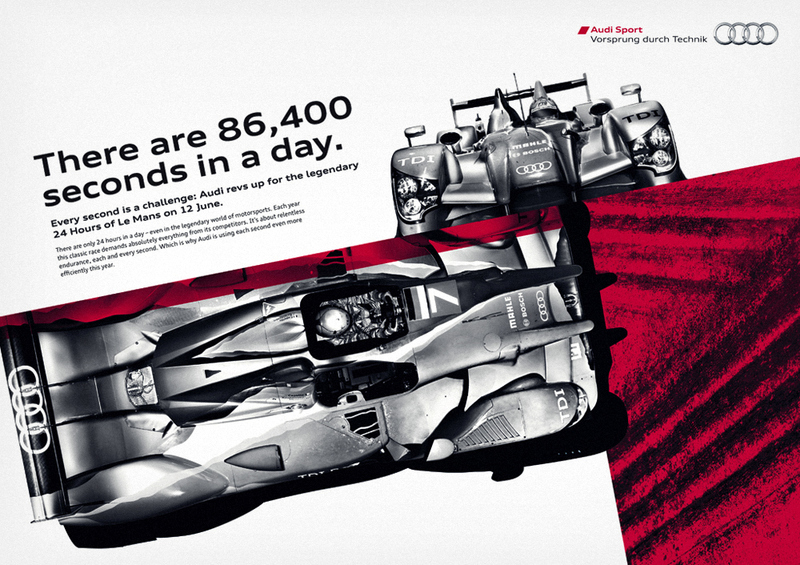 We launched it in 2010 and it is still in use – worldwide.